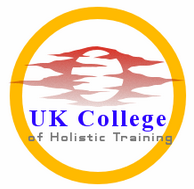 Welcome to UKCHT - we provide home study certificates and diplomas in counselling, hypnotherapy, life coaching and various holistic and spiritual topics. We also provide specialised professional development and advanced courses for therapists, healers and helping professionals. Visit our Courses page to see our range. Our courses are in various formats, all normally delivered by emailed PDF lesson plans. We don’t work entirely on-line. Students complete written work and email it to us for assessment. On completion, we issue printed certificates. For most courses there is no time limit. Most of our professional-level, in-depth courses require textbooks. For shorter courses, free books are sent to UK students. Overseas students can purchase books on-line. For longer courses, all students may need to purchase books. See individual course pages for more details. The use of textbooks means you get much more academic information. Our courses are by distance learning only. We have no classroom-based courses in London. All enrolments must be made by email or by post. What would YOU like to study? Subjects offered include counselling, holistic life coaching, hypnotherapy (including advanced analytical, transpersonal, regression and spiritual applications), special topics in psychology, and awareness courses. We also have courses in “alternative” and spiritual subjects such as parapsychology, tarot and numerology plus courses in western esotericism and comparative religion. New topics are under way. Visit our Courses page for available study programmes.